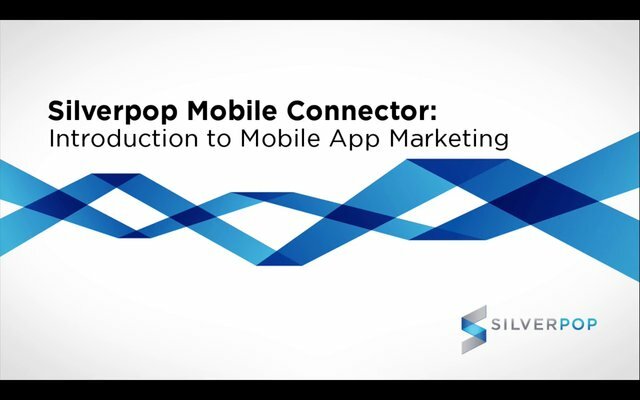 The Atlanta based marketing automation company has launched a new too: the Silverpop Mobile Connector. It’s a tool for the company’s marketing automation services to better track customer behaviour on mobile devices. Next to the above actions and behaviours, the tool also tracks customer loyalty. To do this, the tool creates personalized in-app rewards, automates follow-up via email or SMS text, tracks anonymous and known visitors’ app behavior for segmentation and targeting and creates contact scoring. There’s also an explanatory video showing how to make the app work: it can be found on Vimeo here. You can find out more about the tool on the Silverpop website here.